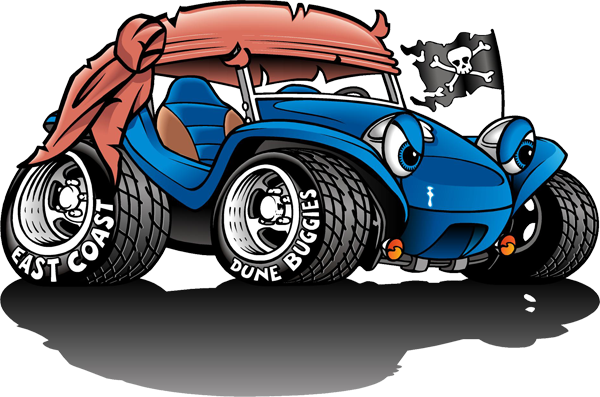 It should go without saying that I could not be happier with the final version of the ECDB Dune Buggy logo that is featured on each and every one of the web pages here on eastcoastdunebuggies.com. 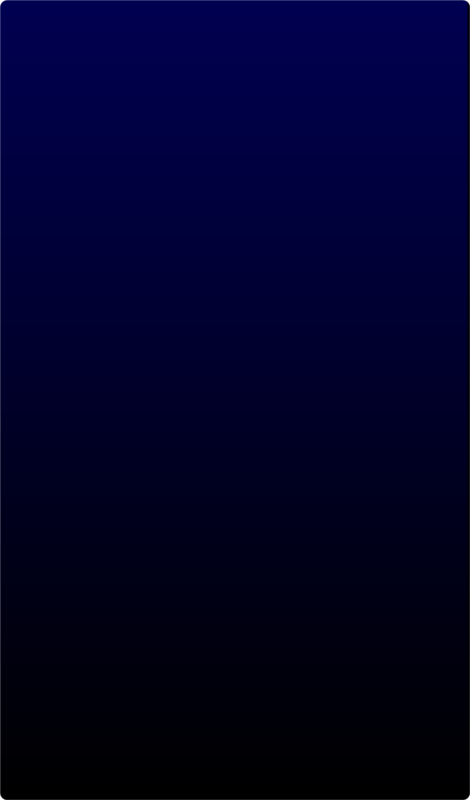 When I first started thinking about the concept and format of this website, I also wanted to give it a look that would directly reflect the name of the site itself; it had to be unique, easily recognized, and most of all; FUN! There have been times in my life where my artistic skills have got the job done, but I can not draw a cartoon version of a car to save my life! It just ain't happening, and it never will. As I considered my options, I decided to work towards the direction of a cartoonish dune buggy with some sort of a pirate's type of look; but I wasn't sure if the foggy images in my head would actually look good in the real world. I then started to focus on two distinct options; one was going to incorporate a skull into the dune buggy body, capped off with a ragged bandana and eye patch. The other option was to be just a bit more mainstream, with a cartoonish dune buggy with a bandana stretched over the top between the windshield and rollbar (eye patch was optional, depending on if it fit the final image or not). I contacted several artists, introduced myself, gave them a description of what I was after (I ultimately decided against mentioning the skull option), then asked them for details on how I could contract their services for a preliminary sketch and then possibly, the final design. I also included to photos of my dune buggy to be used as a basic reference point. 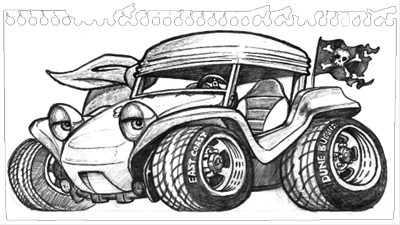 I did not want the final artwork to be a cartoonish version of my exact dune buggy; it was important that the artwork be more representative of a generic dune buggy; one that everybody could identify with. After narrowing my selection down to two artists to at least get the ball rolling, I asked to see basic, preliminary sketches. Artwork submitted by Adam Icenogle almost nailed my vision from the start. After more discussion and fine tuning, we finally had the image that I was searching for; it was now a reality to be appreciated by others. 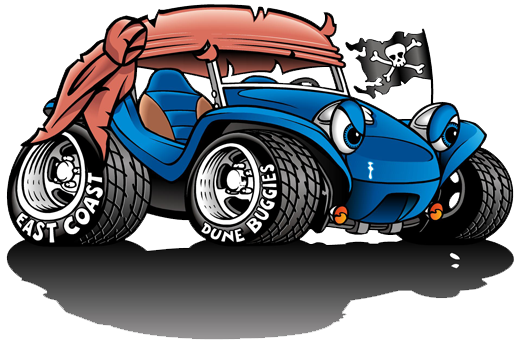 "I need a graphic created that will be a cartoon version of a typical fiberglass dune buggy (I have attached a few photos of my dune buggy for examples), but (if possible) I would like for it to have a unique look, maybe with a "pirate" influence (bandana over the top of the windshield/roll bar, possible eye patch, etc). I would need the finished file to be in .eps file format, so that the finished product can be almost infinitely scaled in size without degrading the output (vector based). 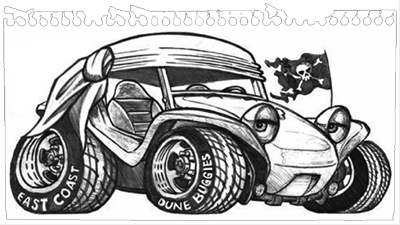 All custom graphics, including that of the East Coast Dune Buggy logo in all of it's stages of development, are copyrighted by Gary Holbrook. Reproduction of these images, even with slight variations, is strickly forbidden. Image was flipped so that passenger's side of dune buggy was facing viewer, that allowed for better composition in relation to the East Coast Dune Buggies lettering graphic that appears at the top of each page. Final design. Note the tattered, faded bandana and the angry eyes looking off to the right of the screen. Do not ask Adam to take this copyrighted design and slighly modify it to fit your needs, he won't do it! He will, however, create an original sketch for you based on your requirements.